We promise to provide our customers with the highest quality products, imprinted as you approved them or we'll rerun your order. At the Drinkware Company, we know that there are many options available for you to purchase promotional products. We believe that along with service and prompt delivery, price is also a deciding factor for you to consider. Our price matching guarantee means that we make every effort to match the prices of our competitors for the same items. Please note that in order for us to match competitor prices, the price and item must be verified. Drinkware Company has the right to not match prices from non-reputable or wholesale advertised companies. We know how important it is to receive your order on time. That is why we guarantee our deliveries within the continental U.S. to be promptly delivered and your order accurate. When you place your order, let our customer service agents know when you need your products and we will work with you to select the best shipping option to meet your needs. We take pride in building strong relationships with our customers through trust, reliability and security in our products and services. We guarantee that we will never charge you a set-up fee for a re-order. We retain your artwork and screens on file, so processing your re-order is as simple as placing an order with us. Please ensure that your imprint is the same design on the same item and we will happily waive set-up fees. This is our way of saying thank you for coming back to us for your promotional product needs. We guarantee that we will not charge you for artwork services. We will work with you to help you achieve the design that when applied to our top quality products, will result in an item that you can proudly use at any event. We offer free revisions and digital proofs of your artwork. Please note that production will not begin until you approve the final artwork. We will be with you from start to finish ensuring your satisfaction. At the Drinkware Company, our Customer Care Associates take pride in providing the highest level of customer service in the industry. Each of our associates is fully trained and knowledgeable of graphic design and our products and able to help you select a product that is perfect for your next event. 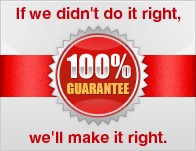 We guarantee that you will only pay the exact fee for shipping your products. We will never inflate the shipping fee to increase our profits. Once you have selected an item and advised us of its destination, we will advise you of the expected shipping costs. Please note however that heavier items will cost more to ship. Your 100% satisfaction is our mission and we work hard to ensure you are happy with your order.